California leads the nation in new solar installations | West Coast Solar, Inc.
California has always been at the forefront of solar energy technology. The latest evidence of this is a report from the Solar Energy Industries Association (SEIA), a solar energy advocacy group, and GTM Research, released on June 11. The report states the Golden State led the nation in new solar capacity for the first quarter of 2013. While the report doesn’t detail statistics from individual states, overall the nation added 723 megawatts (MW) of solar generating capacity in Q1, a 33 percent increase over the same period in 2012. This brings the total installed capacity of the nation to 7,962 MW, enough to power over 1.2 million homes. SEIA says that California added 1,033 MW of solar power in 2012, first among all states. Solar energy is the fastest growing electrical generation method in the country. One of the other major facts brought up in the SEIA/GTM report is that photovoltaics (PV) are also becoming much cheaper and more affordable for homes and businesses everywhere. The per-watt installation price of residential PV systems feel 15.8 percent between Q1 of 2012 and Q1 of 2013, to $4.93, while the per-watt installation cost for non-residential systems fell 15.6 percent over the same period to $3.37. 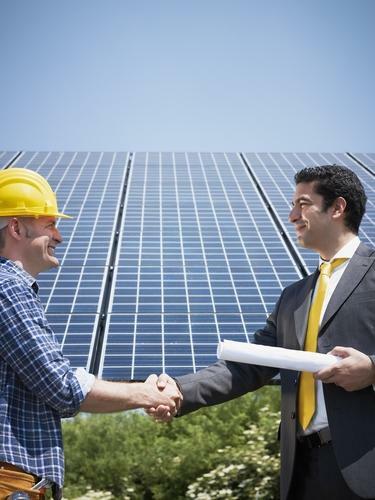 It’s no wonder that solar energy is becoming so popular for homes and businesses. It provides clean, renewable power that is affordable and can lower your monthly utility bills significantly, while also contributing to U.S. energy independence. For more information on how your residence or institution can benefit from Bay Area solar power, contact West Coast Solar today.